Former naval doctor Peter Crane is summoned to a remote oil platform in the North Atlantic to diagnose a bizarre medical condition. But when he arrives, Crane learns that the real trouble lies on 'Deep Storm,' a research facility on the ocean floor. 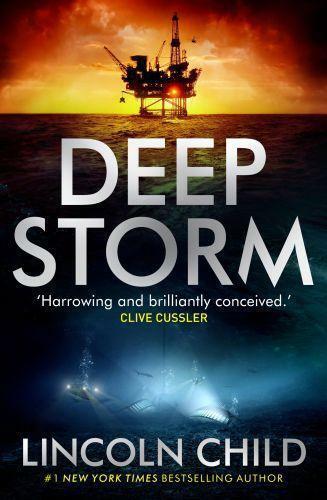 Deep Storm has been designed for one purpose: to excavate a site that may hold the key to a mystery steeped in centuries-old myth.Dr Crane makes the descent and learns that routine drilling has uncovered the remains of mankind's most sophisticated ancient civilization: Atlantis. But the excavation team has been blighted with illness and the more time Crane spends in this strange submerged world, the more he suspects the facility conceals something more sinister. The supposed discovery of Atlantis might, in fact, be a cover for something deadly...Lincoln Child's Deep Storm is a superbly imagined, chillingly real blend of scientific detail and gripping adventure: the most ambitious novel to date from a master of suspense.